Columbus Gives Back will select a volunteer each month that displays excellence in community service. We will spotlight each individual and provide some information about them to applaud their giving spirit and a job well done! The volunteer will also receive a small prize from the organization. 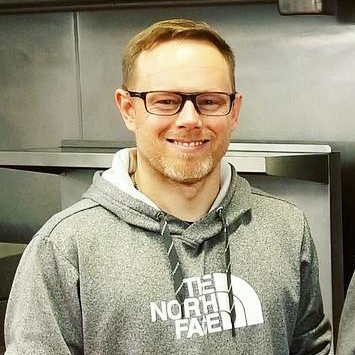 Our volunteer of the month for April 2019 is … Jon Conaway! 1. How and when did you become involved with Columbus Gives Back? I first got involved with Columbus Gives Back in October of 2018 after searching the internet for volunteering opportunities in the Columbus area. What I really liked was how easy it is to sign up for the different events on their website’s calendar. I have a busy work schedule and they really do make it easy to get involved. 2. What is your favorite CGB event? It would be hard to pick one event over another, each is so different and rewarding in their own way. But If I had to pick a favorite it would have to be the Habitat for Humanity build days. Being able to be apart of a family’s journey to home ownership is an awesome thing! I can solve a Rubik’s Cube. Thank you Jon for everything you do!